sleeping and dreaming beneath the beautiful California stars. 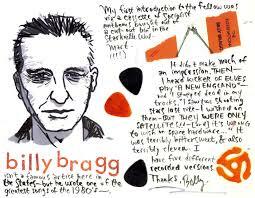 Bragg began performing in the late ’70s with the punk group Riff Raff, which lasted only a matter of months. He then joined the British Army, yet he quickly bought himself out of his sojourn with £175. After leaving the Army, he began working at a record store; while he was working, he was writing songs that were firmly in the folk and punk protest tradition. Bragg began a British tour, playing whenever he had the chance to perform. Frequently he would open for bands with only a moment’s notice; soon, he had built a sizable following, as evidenced by his first EP, Life’s a Riot with Spy vs. Spy (1983), hitting number 30 on the U.K. independent charts. 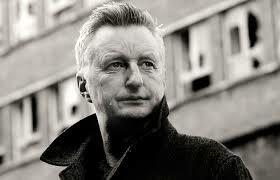 Brewing Up with Billy Bragg (1984), his first full-length album, climbed to number 16 in the charts. Billy Bragg addresses a crowd of about 100 people on the Royale’s patio. See more photos here. 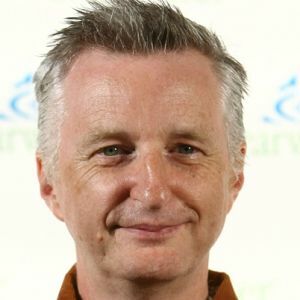 Billy Bragg stood at the microphone toward the end of his set at the Royale, thoughtfully looking up into the night sky as he tried to put words to what’s happening in Ferguson. Bragg, known worldwide for speaking out against human-rights violations and bigotry, performed an hourlong set at the Royale on just a few hours’ notice, deciding to stop in St. Louis as he made his way south to Arkansas on a photography tour of the old Rock Island Line railroad path for Aperture magazine. Several performances over the next week are planned, but Bragg and fellow guitarist Joe Purdy already have made a habit of impulsively playing where they’ve felt moved to do so, such as outside a school in Illinois where teachers were striking for better pay. St. Louis was just such an impulse stop. Bragg then said that he contacted his friend Karl Haglund, an artist who paints canvases of iconic guitars, about where he might perform. Upon advice from Magnolia Summer’s Chris Grabau, Haglund suggested the Royale and put Bragg into contact with owner Steven Smith. The performance was announced on Twitter and Facebook 30 minutes later, with Smith using the show as a way to rally up bins of toiletries, food, school supplies and first-aid kids from the 100 or so people attending — all donations that would be distributed in Ferguson through St. Stephen’s Episcopal Church. 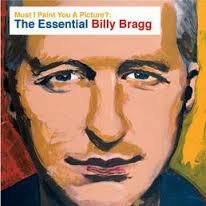 Bragg said that he and Purdy would be switching off to “stay fresh,” giving up the “stage.” Purdy, now solo, joked, “The problem with traveling with Billy Bragg is that you have to follow him.” He performed “Down to the Water” on “this old pawn-shop guitar.” “But I still love you,” he said to the instrument. Bragg returned for a few train-based songs, saying, “I don’t think there was any invention as transformative in human existence as the railroad.” The duo performed “There Is Power in a Union,” which moved the toe-tapping audience to yip and clap, especially once Bragg finished the song and shouted “Solidarity forever!” with a fist pump. See the Riverfront Times’ complete coverage of Michael Brown and Ferguson. Playing solo, Bragg reminded the crowd of his love and respect for folk hero Woody Guthrie, sharing that “Guthrie as a young man witnessed the aftermath of lynchings and wrote this song,” before beginning “Hangknot, Slipknot.” The lyrics, “Who makes the laws for that hangknot?” resonated through the rapt audience. Bragg reminded the crowd again about seeing the Ferguson supporters through his hotel window. “These are difficult times,” he said as the Royale crowd spontaneously began chanting, “Hands up, don’t shoot!” — a now-iconic phrase coined because of reports that Michael Brown had his hands in the air when Ferguson officer Darren Wilson shot him on August 9. Moved by the night’s emotion, Bragg continued. “I was trying to think of a song I could play for this tonight. There’s an old song I know from the civil-rights days, written in 1968, but it may have some resonance now. You have a great weight to resolve this in a peaceable and transparent way, and you have our support.” Bragg and Purdy then began harmonizing on “Cryin’ in the Streets,” punctuating the line “I see people marching in the streets” with a powerful “Yeah!” and growing louder throughout the song. “What do you want me to tell them?” Lawler had asked the girl. The evening closed with the crowd on its feet, clapping and shouting along with Bragg and Purdy to Bob Dylan’s “The Times They Are a-Changin’,” but Bragg had one more thought as he closed the famous tune. “And liberty and justice for all!” he shouted, shaking the Royale patio with force. The audience agreed, erupting into “No justice, no peace,” another chant made famous recently in Ferguson.